you arrive at our training facility in Paonia, your life will be changed forever. 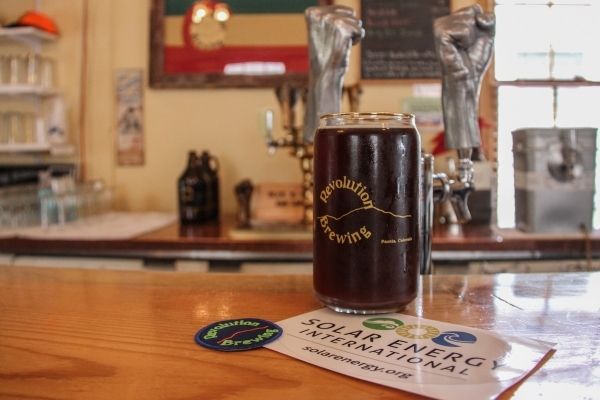 Revolution Brewery (the Rev) is a favorite hang-out spot for locals, staff, instructors, and students. 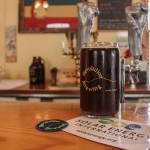 If you like beer, check out the SEIPA (named for your favorite PV training organization), Miner's Gold (a perfect summer light beer), or some of their rich darker beers. They also offer a wide range of non-alcoholic drinks including kombucha on tap, local cherry soda, an earthy root beer, and Big B's lemonade. Wednesdays bring live music. Into Cider? Big B's proudly handcrafts American Farmstead Hard Ciders in small batches using only organic ciders. Head to Delicious Orchards to try all the delicious Big B's ciders, pommeau, organic juice and eat some bbq too! Whether you're looking for a quick adventure after class or a longer adventure on the weekends, Paonia is surrounded by BLM land, National Forests, and the West Wilderness. 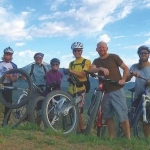 Rent a mountain bike at The Cirque and hit Jumbo Mountain -just minutes from downtown. Head to Lost lakes for a picturesque hike followed by a swim in snowmelt lakes, or Erickson Springs for a perfect end-of-day hike. If you're really feeling brave and have an extra day, hike up to top of mount Lamborn or down into the Black Canyon. On your way to SEI, you'll pass by acres and acres of orchards. 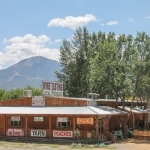 Paonia is known for its organic fruit...cherries, apricots, peaches, nectarines, pears, apples. Go peach picking once and you decide never to leave! Delicious Orchards and Orchard Valley Farms are the places to go for fruit picking. Or hit up the many farms that surround SEI. From Desert Wyer with their numerous PV systems and heritage bread sheep, to the Living Farm with their four season growing operations, to Zephyros Farm and their fields of flowers- you're mind will be blown. 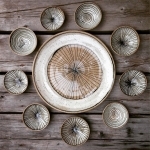 The North Fork Valley (Paonia, Hotchkiss and Crawford) is designated as a creative district by the state of Colorado. The valley is home to many artists, performers, writers, musicians, theaters, and publications. Definitely check out the Paradise Theater and the Blue Sage Center for the Arts to find out what's happening when you're in town. Check out the galleries in town, such as the Eccentric Artist, the Cirque, and Elisabethan's new upcycled clothing store. Elsewhere Studios also has monthly art shows, with work by artists-in-residence from all over the world. 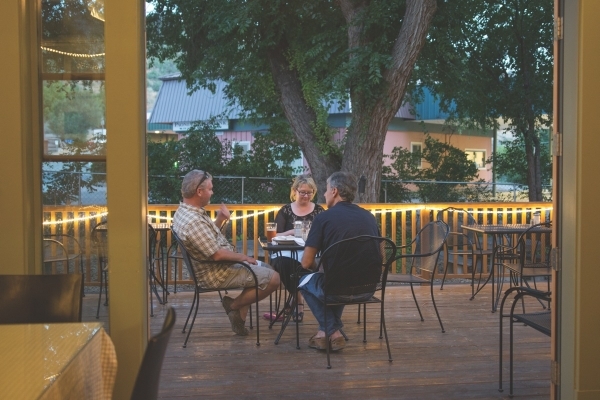 For being a small town, Paonia has some great restaurants that meet any budget. The flying fork is known for high-end italian food. 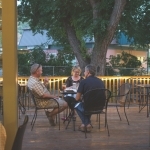 Take advantage of Paonia's perfect summertime evening and enjoy your meal on their patio. If you're into local food, it doesn't get any more local than the eats from the Living Farm Cafe. Most of the food is grown within a 10 mile radius. 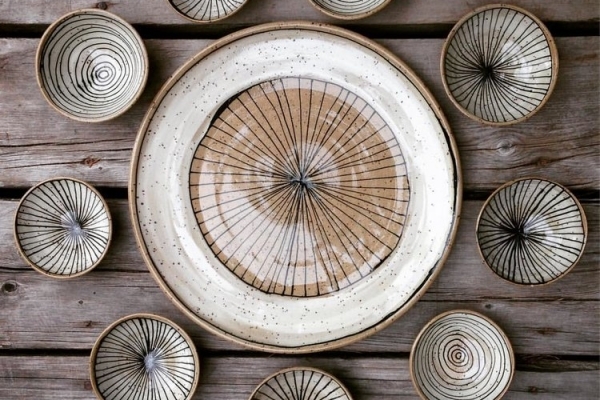 Their seasonal menus are always changing for breakfast, lunch and dinner. Into food trucks? Then don't miss Taco Bliss or One-Two Thai (definitely staff favorites). If you're looking for a late-night meal, Hightower Cafe is the place to go! 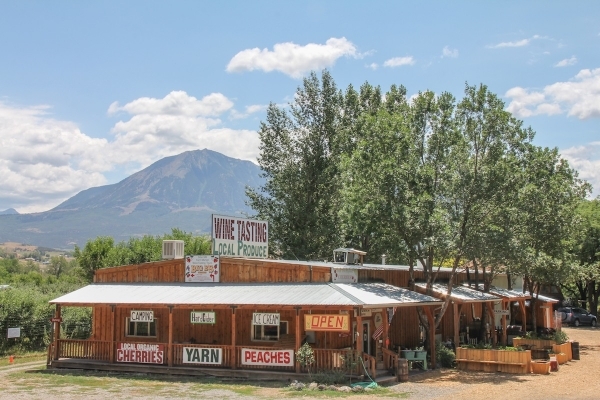 Paonia is home to highest altitude commercial wineries and vineyards in the world! 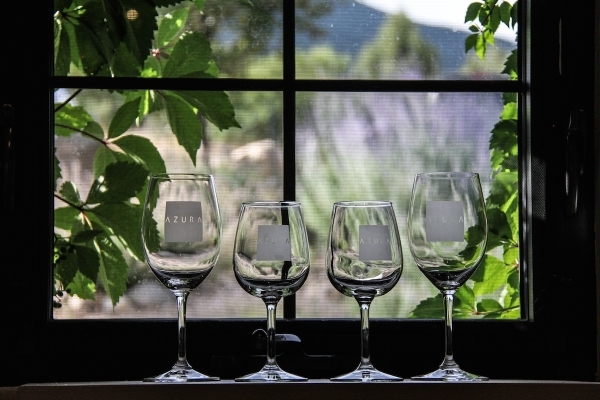 After class, may we suggest visiting Azura Cellars for wine tasting while enjoying an epic view from their incredible winery. Trust us. 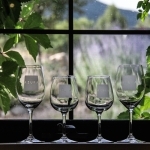 Or walk the vineyards at Terror Creek while sipping on their perfectly not-too-sweet Gewurtzraminer, sip wine next to the North Fork of the Gunnison River at Black Bridge Winery, or tour their red wines which are fermented in open vats and aged in French oak. And if you're lucky, perhaps you'll find a bottle of the locally grown, organic, biodynamic pinot noir from Peony Lane. Amazing. 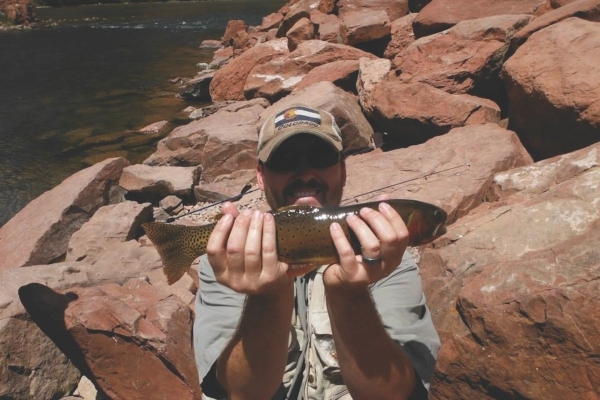 Plan on staying an extra day or two to take advantage of the rafting and fly fishing on the North Fork of the Gunnison River. 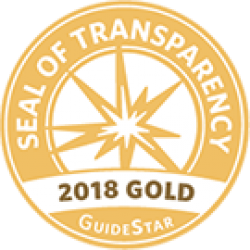 Our river was designated as Gold Medal Waters by the state of wildlife commission because of the outstanding angling opportunities for large trout. 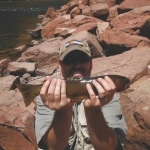 If you want to go fly fishing, contact Gunnison River Expeditions, which specializes in float fishing, walk/wade trips and class III-IV rafting experiences. You can also head to Pleasure Park of the Gunnison, which offers fishing, jet boat service, sleeping cabins, and camping. If you're interested in rafting, talk to the SEI staff, as many of us are often on the river on the weekends. 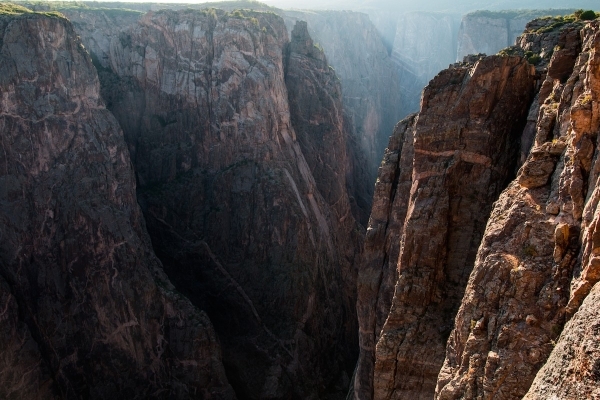 Big enough to be overwhelming, still intimate enough to feel the pulse of time, Black Canyon of the Gunnison exposes you to some of the steepest cliffs, oldest rock, and craggiest spires in North America. With two million years to work, the Gunnison River, along with the forces of weather, has sculpted this vertical wilderness of rock, water, and sky. 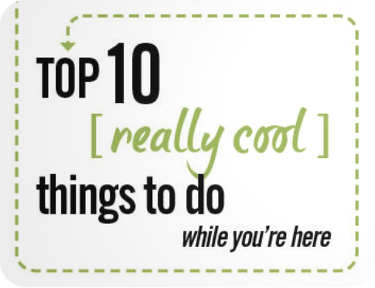 Less than an hour from SEI's campus, it makes for a perfect end-of-class adventure. For a little town, Paonia sure does like to party! Cherry days is our small town at its finest. It's complete with a parade, bull-riding, and a carnival in the park. 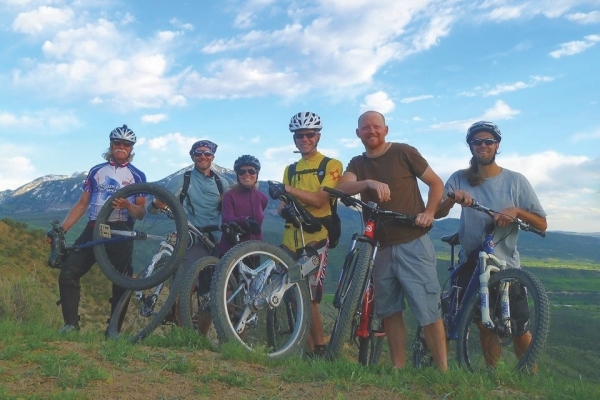 If you're into road and mountain biking there's Gears and Beers in June. If you're here in August, Pickin' in the Park is the place to be on Thursdays. These free concerts are held in the town park where you can eat, dance, drink and be merry with your fellow students and townspeople. The mother of all festivals is the Mountain Harvest Festival which celebrates the harvest of food, music, writing, and art from the valley. Each year, SEI organizes the Grape Stomp where teams compete in Lucy-style grape stomping. Not to be missed! Check the Paonia Chamber of Commerce to what events are happening when you come here for classes. There is nothing more relaxing than soaking in natural hot springs bubbling up from the ground while surrounded by some of the most majestic mountain views in the world. 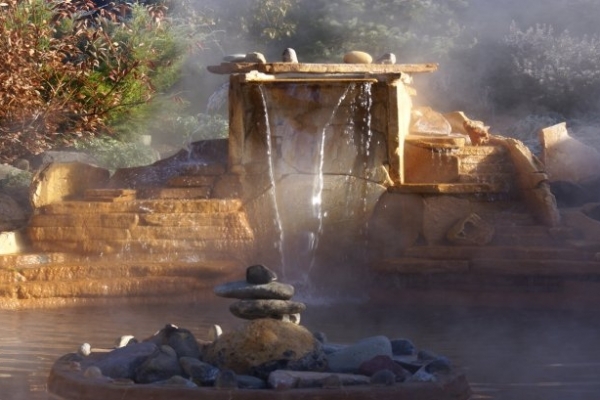 Here in Western Colorado, we are lucky to have access to these natural wonders and hot springs can be found in many of our riveres and formal resort areas that surround our training facility. There are several within 2 hours of Paonia, which makes for a perfect outing after class or for a weekend adventure. 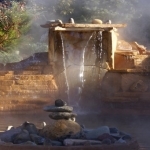 Check out some of our favorite hot springs locations - Avalanche Ranch, Penny Hot Springs (it's free! ), Wiesbaden in Ouray, Orvis and Iron Mountain.